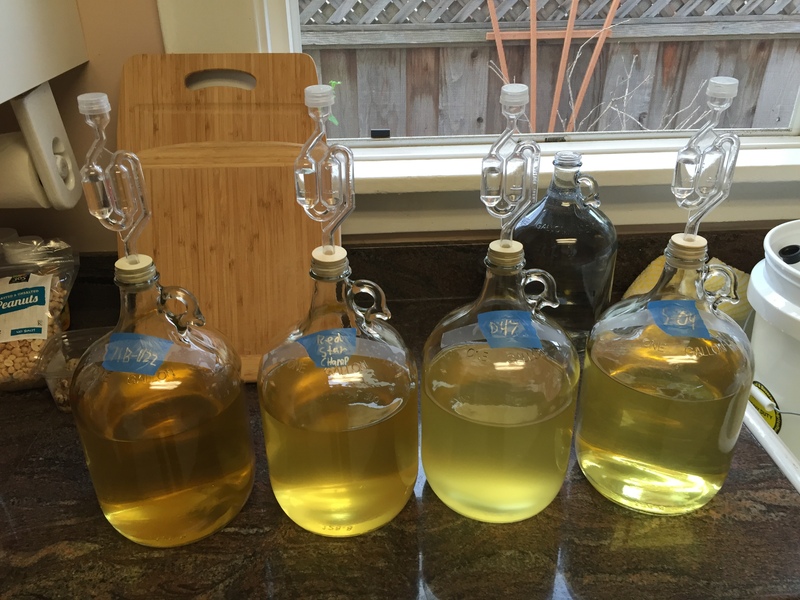 Racked my cider for secondary fermentation. No more lees, and just another few weeks before bottling. It's a bit amazing how different the 4 batches are, when all I varied was the yeast. The 1122 is a richer amber, the others a paler blonde/straw. The S-04 (far right) is an ale yeast, and yet it's the best tasting of the lot, with the 1122 close behind. The D47 was nasty-tasting and still cloudy, and super-fizzy: I couldn't actually maintain a siphon with it, too much gas content.